We get a great response from your side thanks for appreciating our efforts.Here, We come up with another trusted New Paytm Cash Earning app named as "IndieTap App." Users can refer this app to their friends and earn Paytm cash.Generally, Indietap app provides us some home services like Electricians and Plumbers. You can get Rs 50 on your IndieTap wallet on When you Sign up with our Referal code which we give you Below.So let's go to know all the details of this app. IndieTap is available For Android Devices and iPhone Devices.Android users can download from Google Play store.This app is providing us Home services like Electricians and Plumbers.According to this app, they have Professional service providers, and all are verified by "Police. "You can book their services nearby you, and Also you can pay for the service in cash mode or digitally payment getaway. First of all, you have to Download this app"Click here." Install this app and open it. Here, You have to fill Your Name, Mobile No. In referral box, you have to fill "95545824" referral code. After doing that you have to verify your Mobile Number via OTP. Verify OTP and Successful you are Register on "IndieTap." Click on Menu option on the top of the left corner. Select "Refer and Earn" and click on it. After that, you saw your Referal Code and Copy you Referal Code. 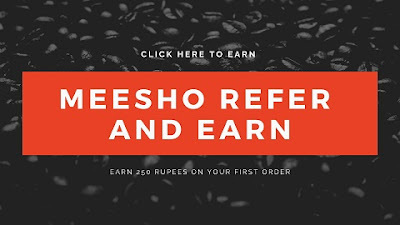 Click on Share option below your Refer code and select your Suitable sharing method. Share this link with your friends and claim your Rs 50 in your Wallet. Click on the Menu option and Select "My Indie Money." Click on Paytm transfer option. You have to Refer your just only THREE friends to Redeem wallet cash into Paytm wallet. When you earned a total of Rs 150 and wants to convert it into Paytm wallet, you see there "Conversion rate is 4:1. This means that you can covert your Rs 150 IndieTap wallet money into Rs 37 Paytm wallet. Then Question Arise that what about my rest of money?? So, Don't be a thing so much your Rest of money will be saved by the company for your first booking means when you book any Service from that app they will give you Rs 200 Discount for your service. Keep sharing this app with your friends and Earn more Paytm cash. Also if you required any Electricians or Plumber, you could easily contact them for Help.